We unveil our 10 Days total adventure Rwanda, taking you to the country’s wildest places. 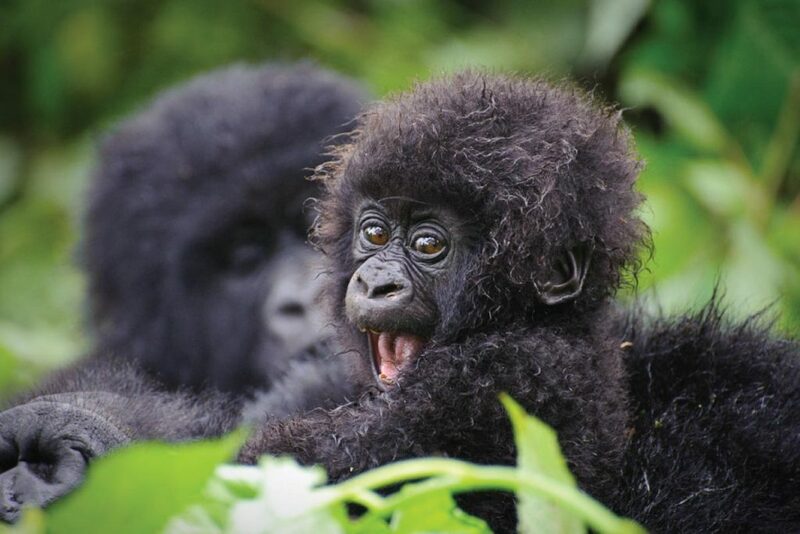 The adventure Rwanda safari entails wildlife game drives, boat trips, Gorilla trekking, a Golden monkey trek, a hike to Dian Fossey’s tomb, a visit to Rwanda’s genocide memorial centre, Chimpanzee trekking in Nyungwe forest, birding and a canopy walk experience among other captivating activities. After breakfast meet our guide/driver for the transfer to Akagera National Park with a stopover at the Rwanda genocide memorial centre to see the skulls of Rwandans that lost their lives during the political era between the Hutu and Tutsi. We will have Lunch along the way and continue to the park, with an en-route game drive to our overnight accommodation. Be on the lookout to spot a variety of wildlife along the way like: elephants, zebras, buffaloes, warthogs,bush bucks and lions among others. Dinner and overnight at Akagera Game Lodge (moderate Lodge facility). Move out for a game drive at dawn to spot nocturnal animals and other early riser wildlife. This adventure Rwanda game drive takes 3-4 hours in search of the most sought-after species like elephants, zebras, buffaloes, warthogs, water and bush bucks, lions, topi, oribi, leopards and more. Return to the lodge for lunch and thereafter go for a boat ride along the Ihema water body with unforgettable views for photographs of wildlife and birds along the shores of the Lake. After breakfast, embark on the drive to Volcanoes National Park with lunch en-route, and a stop at some cultural museums to experience Rwanda’s style of art and crafts. Head to the park headquarters for briefing after breakfast, about the dos and don’ts in the park and around the mountain gorillas before entering the jungle on your adventure Rwanda safari. Once we find the gorillas the allowed time around these gentle giants is 1 hour for conservation reasons. Please be sure your camera has a full battery to capture some unforgettable memories as you watch the gorillas play, feed and groom each other. Carry with you, rain gear, comfortable walking covered shoes(boots), insect repellent, sun screen, a hat, packed lunch and bottled mineral water. After this unforgettable experience return for a relaxed afternoon/evening. 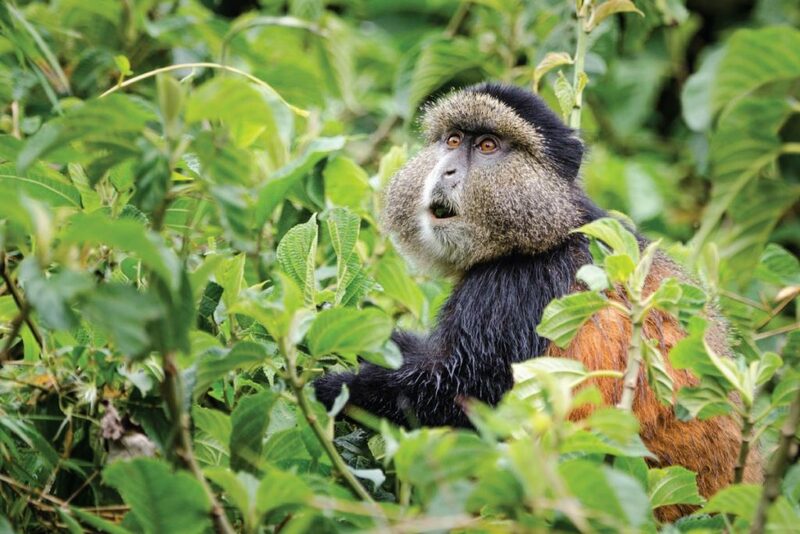 Have breakfast, and go out to Volcanoes National Park again, for the golden monkey tracking, this activity is diverse, providing opportunities to view more primate species, birds, and butterflies among others. Head to Volcanoes National Park once more for a Dian Fossey trek, this is the most famous hike to the tomb of Dian Fossey a great primatologist that advocated for the conservation of primates. On this visit learn much more about her life with the gorillas in Rwanda. After breakfast take a scenic drive via the undulating hills from which Rwanda derives its name “land of a thousand hills” drive to Lake Kivu with lunch en-route and enjoy the beautiful white sand bathing on arrival. Have breakfast and take an amazing boat cruise along the Lake to different fishing villages looking out to spot a variety of birds with unforgettable photograph opportunities of birds and the local fish mongers. Return to the lodge for lunch and thereafter drive to Nyungwe forest. Dinner and overnight Nyungwe forest lodge (High end lodge) or Nyungwe Hill Hotel (Moderate facility) or Gisakura guest house (Budget facility). After breakfast, head to the park headquarters for briefing about the forest and the chimps before another unique adventure Rwanda tour sets off. Thereafter enter the jungle in search of the shy chimps as they playfully swing in the tree branches. 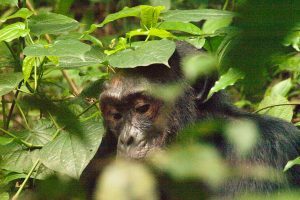 This adventure Rwanda walk provides good opportunities to watch more primates like the white and black Colobus, vervet monkeys,grey cheeked mangabey, plus birds and butterflies. Return to the lodge for lunch and after prepare for the evening canopy walk to spot more primates, birds and butterflies at close range. After breakfast, embark on the return drive to Kigali with en-route lunch and a visit to some cultural markets to shop souvenirs for your great memories about the beautiful “land of a thousand hills”. Drive to Kigali International Airport for your return flight home. Meal plan breakfast, lunch End of services.